High-quality headsets help a manufacturer deliver world-class customer care. Recently, Brüel & Kjær transformed itself. What began as a conventional engineering company that manufactured and sold equipment for testing and measuring sound, transitioned into a global solution provider, offering customer training and support, service contracts and repairs, software updates and system modifications. The Denmark-based company’s customers include airports, construction companies, government agencies, energy providers and manufacturers – organizations large and small, public and private, that need to gauge sound or noise for regulatory, health-and-safety or compliance purposes. The transformation required a Brüel & Kjær platform upgrade. “We replaced old HP routers and switches with Cisco to be completely compatible with Verizon, which has managed our environment for years,” says Olesen. “Now everything on the network side is standardized on Cisco.” The new platform is essential for handling customer calls; delivering impeccable sound quality over IP phones, PC-based softphones and mobile phones; and making call routing, scheduling and job planning more efficient. 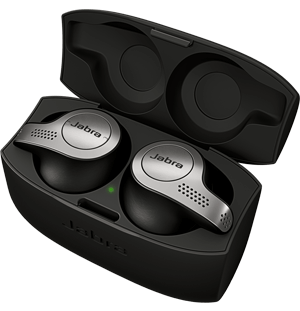 “Selecting Jabra as our headset provider was the final step in this transformation,” says Olesen. A Cisco Preferred Solution Developer and a global producer of innovative headset and speakerphone solutions, Jabra offers a wide range of audio devices, all of which feature high quality sound and seamless integration with Cisco Unified IP Phone, Cisco IP Communicator and Microsoft, the company’s operating system. 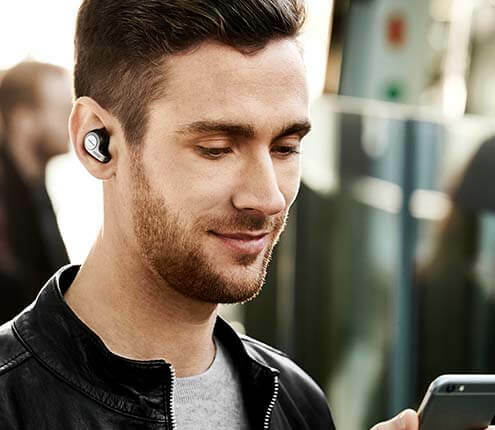 Jabra audio devices deliver an enhanced, hands-free experience that increases mobility, collaboration and simple communication for Cisco users, combining comfort with exceptional audio performance to enhance productivity and user satisfaction. To help determine which headsets worked best for different employees, all the line managers in Denmark were invited to test the models and select the most appropriate one for his or her team. Cisco IP Communications helped Brüel & Kjær create a resilient infrastructure to support its new services offering. The benefits were available only through the Cisco solution, facilitated by the integration of converged networks and PC applications. With the Cisco IP SoftPhone, users can log onto their profiles and receive calls wherever they are, enabling them to provide topnotch service. Plus, it’s a true Windows application that uses standard, open application programming interfaces. In the near future, Bruel & Kjaer plans to add Cisco’s Jabber solution. Thanks to the compatibility of Jabra devices across Cisco Unified Communications, Brüel & Kjær will continue to use Jabra headsets, which are compatible with Cisco Jabber. This will enable Brüel & Kjær representatives to escalate easily and seamlessly from an IM conversation to a voice, video or desktop, sharing interaction on the fly whether they are in or out of the office.